The number of people who switched their mobile carriers plunged to a 13-year low last year after a series of government measures designed to prevent subscribers from receiving hefty subsidies for changing their telephone numbers. According to statistics released by the Korea Telecommunications Operations Association on Wednesday, the number of people who changed their mobile providers stood at 5,660,601 in 2018, 19.3 percent lower than the year before. This translates to a monthly average of 471,717 people. It was the first time in 13 years that the number of people who switched their mobile providers fell to an average of 500,000 per month. The average number of subscribers who changed their carriers stood at 464,391 per month in 2005. 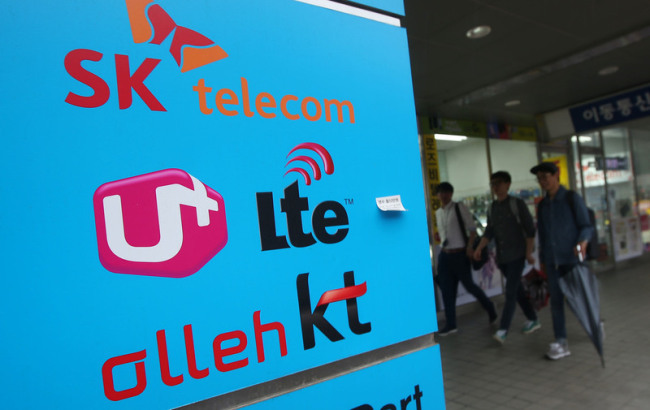 The Korea Communication Commission has been working to increase transparency in the telecom market, such as by limiting subsidies for those seeking to change their mobile providers. Last year, the country’s telecommunication regulator imposed a fine of about 50.6 billion won ($45.2 million) on the country’s major mobile carriers for providing undue subsidies. SK Telecom, the country’s largest mobile operator by number of subscribers, saw 1,914,398 transfers last year, down 22.5 percent from the year before. It was the first time in 14 years that SK telecom saw the number of transfers go below the level of 2 million people. KT saw the number of people who switched mobile carriers stand at 1.387,468 last year, 20.6 percent lower than the previous year. Meanwhile, 1,358,818 subscribers changed their phone numbers from LG Uplus to a new provider, the Korea Telecommunications Operations Association said.